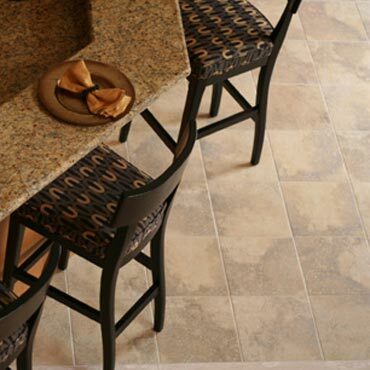 Vinyl floor tile is frequently chosen for high-traffic areas because of its low cost, durability, and ease of maintenance. VCT has high resilience to abrasion and impact damage and can be repeatedly refinished with strippers and buffing equipment. 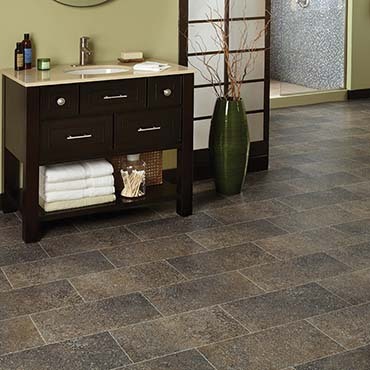 See our collection vinyl composition tile (vct) brands like Mannington Vinyl Flooring, Tarkett Resilient Flooring, Johnsonite® Commerical Flooring, Azrock VCT Tile, Armstrong Commercial Resilient, and more... Click below to see our whole selection of vinyl composition tile (vct) brands! Linoleum is the most sustainable flooring choice. It is made with linseed oil, pine rosin, ground cork dust, wood flour, and mineral fillers. Naturally resilient and insulating linoleum can help reduce energy used for heating, cooling and lighting. See our collection linoleum flooring brands like Tarkett Resilient Flooring, Johnsonite® Commerical Flooring, Armstrong Linoleum Flooring, and more... Click below to see our whole selection of linoleum flooring brands! Sheet vinyl flooring has been around for decades and is still very popular. 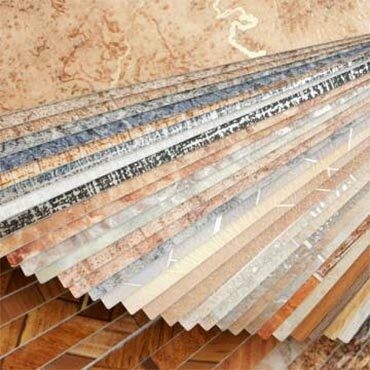 It's made using a printing process that mimics the look of natural stone, ceramic tile or hardwood. It comes in a roll that is cut to size, perfect for kitchens and bathrooms. See our collection sheet vinyl flooring brands like Armstrong Sheet Vinyl Floors, Mannington Vinyl Flooring, Tarkett Resilient Flooring, Johnsonite® Commerical Flooring, Mannington Sobella Flooring, and more... Click below to see our whole selection of sheet vinyl flooring brands! 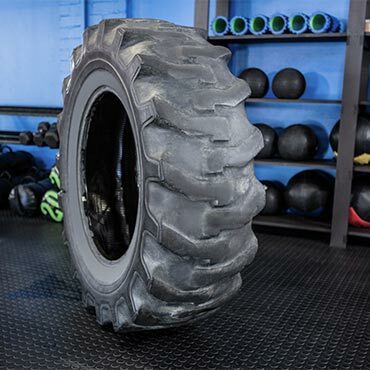 Rubber flooring is meant to keep people safe on their feet, as some areas work enviorments can be hazardous. Industrial workers can easily injure themselves while on the job. 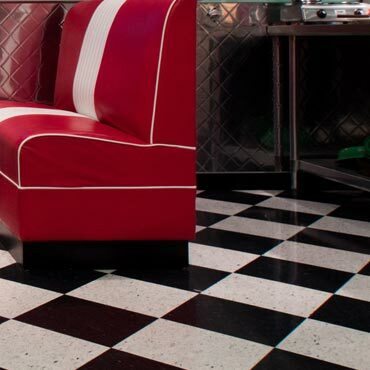 Rubber flooring provides a high level of slip resistance. 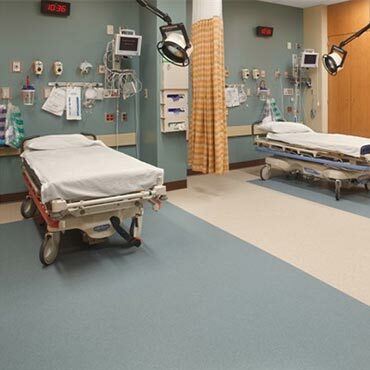 See our collection rubber flooring brands like Johnsonite® Commerical Flooring, Roppe Rubber Flooring, Burke Luxury Vinyl Flooring, Flexco Rubber Flooring, Tuflex® Rubber Flooring, and more... Click below to see our whole selection of rubber flooring brands! Luxury vinyl flooring (LVF) differs from standard vinyl flooring in its ability to closely mimic the look of natural materials, such as wood, ceramic, or stone. It accomplishes this by a surface layer that has a very realistic photo-created image. 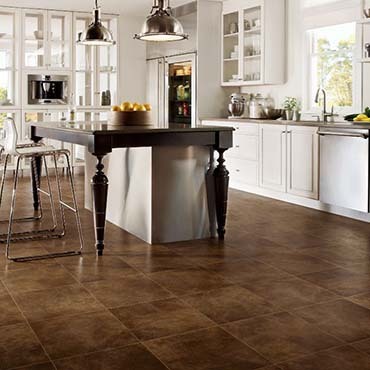 See our collection luxury vinyl flooring (lvt) brands like Mannington Adura® Flooring, Karndean Design Flooring, Nova Floor, AmericanBiltrite Flooring, Congoleum Luxury Vinyl Flooring, and more... Click below to see our whole selection of luxury vinyl flooring (lvt) brands! 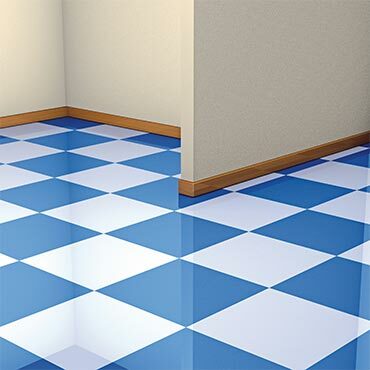 Waterproof flooring offers superior performance in wet areas, such as basements and bathrooms and provides easy maintenance for spills. Plus it is easy to clean because it keeps spills on the surface making cleanup tremendously easy. See our collection waterproof flooring brands like US Floors Coretec Luxury Vinyl Tile, US Floors COREtec Plus Luxury Vinyl Tile, Congoleum Luxury Vinyl Flooring, Mannington Adura Max, EarthWerks Luxury Vinyl Flooring, and more... Click below to see our whole selection of waterproof flooring brands! 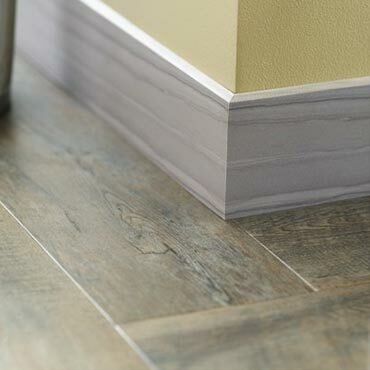 Every element of a professional vinyl flooring installation works together to create a visual impact. 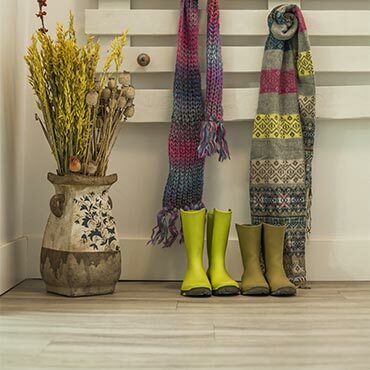 Finish your flooring project with the appropriate resilient accessories. 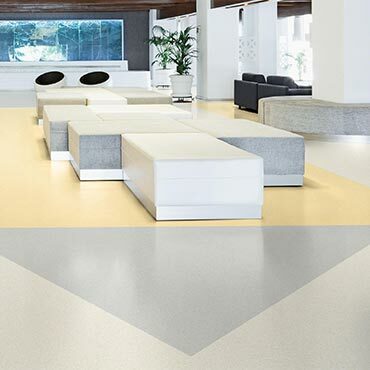 Cove base provides a finished, aesthetically pleasing look when installed. At DesignBiz, we want to make sure you find the finest home furnishings when you browse online. You have searched for resilient and vinyl flooring and this page displays all the info, brands, articles, and videos that we have for resilient and vinyl flooring. With hundreds of manufacturers and brands to choose from, we want to help you find the perfect solution for your style preferences. 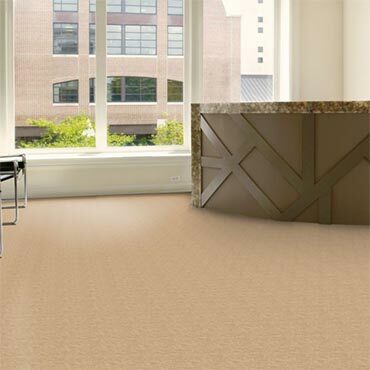 Browse through our selection of brands, like Armstrong Sheet Vinyl Floors, Mannington Vinyl Flooring, Tarkett Resilient Flooring, Johnsonite® Commerical Flooring, Azrock VCT Tile, and more. If you aren’t finding the brand of resilient and vinyl flooring you are currently searching for, can try our sponsored links below.